The Skytronic 103.206 AV-120FM is a compact HiFi amplifierwith versatile connection options. 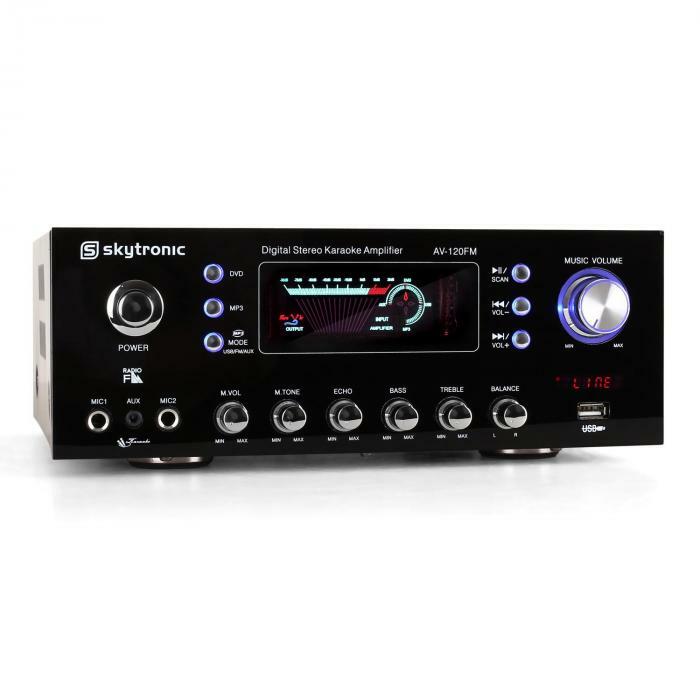 An impressive feature of the Skytronicamplifier is its two microphone inputs. These make the system ideal forspeaking or singing events such as club gatherings, family celebrations andKaraoke parties. 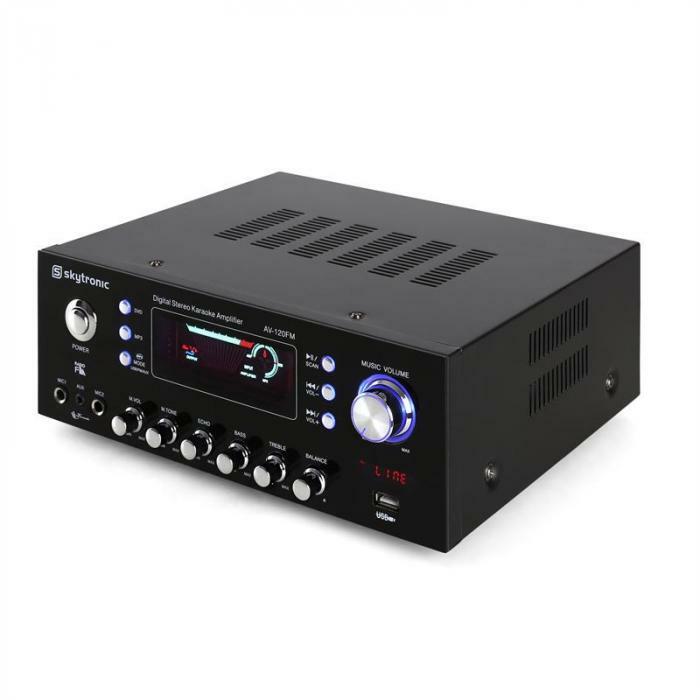 The amplifier handles MP3 files comfortably via its USBport, and features a button at the front for selecting these files. Via thestereo RCA input and front mono AUX input, the system can be easily connectedto turntables, CD players, computers and other devices. 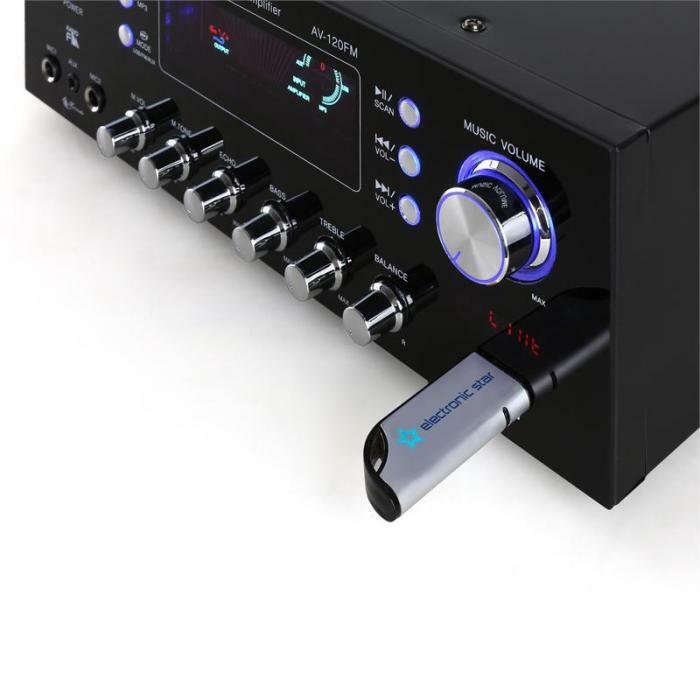 A recording device canbe connected via the stereo RCA output so you can always keep a record of yourKaraoke evenings. 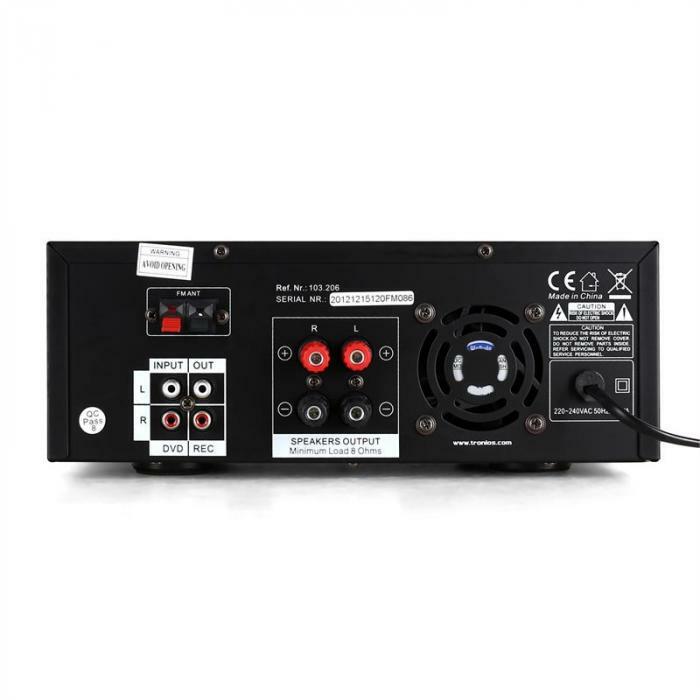 With its excellent sound quality and range of features, theSkytronic AV-120FM is the ideal amplifier for small to medium-sized Karaokeparties. 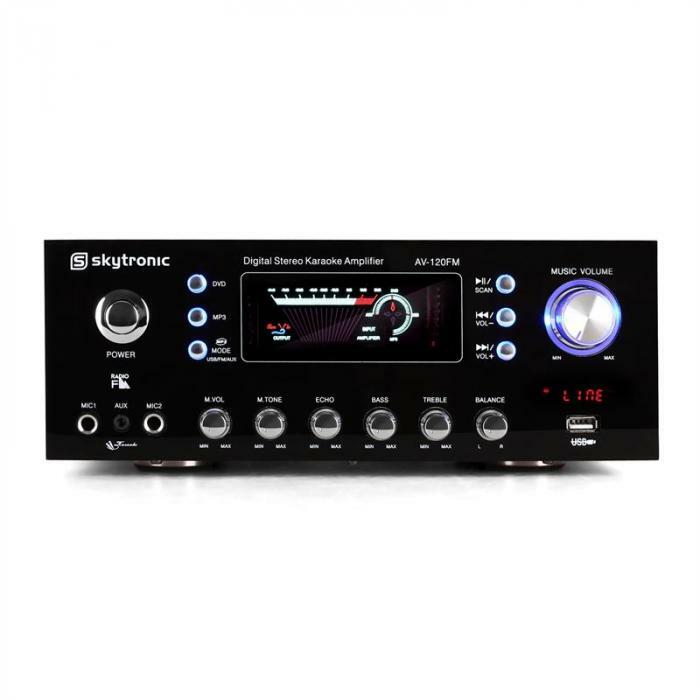 The Skytronic AV-120FM isn't only suited for amateur singing though,it is also perfect for HiFi systems and background music. Its 2 x 60W RMS means the amplifier is perfectly equipped tohandle the demands of small to medium-sized events and spaces.